← Taking Bensouda’s Reins: Who Will Take Over as the ICC Deputy Prosecutor? Kirsten Fisher joins JiC for this timely and fascinating two-part post on the Arab Spring and Transitional Justice. Kirsten is the Gordon F. Henderson Post Doctoral Fellow at the University of Ottawa’s Human Rights Research and Education Centre and an affiliated research fellow at the Erik Castrén Institute of International Law and Human Rights at the University of Helsinki. She is also the author of Moral Accountability and International Criminal Law (Routledge 2012) and co-author and co-editor of Transitional Justice and the Arab Spring (with Robert Stewart, forthcoming in Routledge’s Transitional Justice series). Enjoy! Is the pursuit of transitional justice after the Arab Spring different than other attempts to find justice after mass violations of human rights and systemic violence? If so, what do the differences tell us? 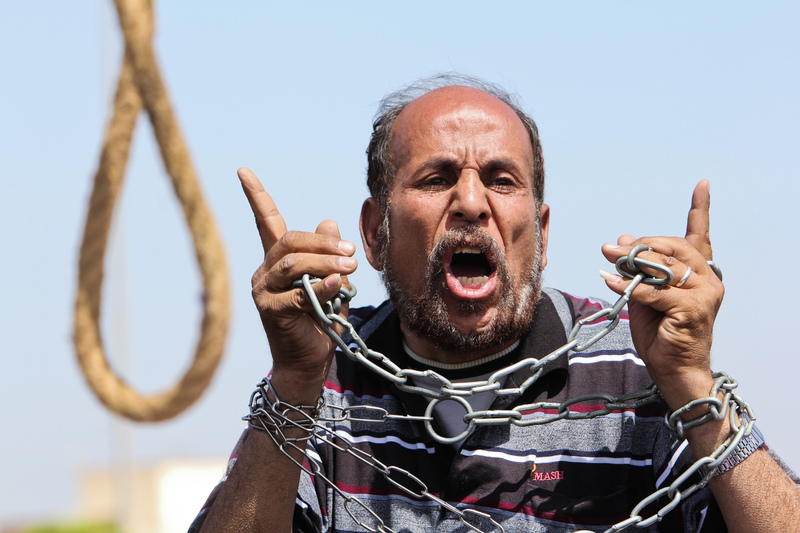 The Arab Spring and the related political transitions are turning the Middle East and North Africa on their heads. Rulers have been forced from power in Egypt, Libya, and Yemen, while Algeria, Bahrain, and Syria have experienced major upheaval that challenges the political status quo. 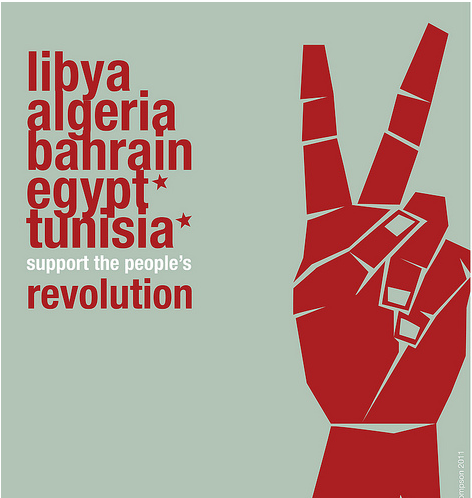 The Arab Spring has opened the way for these countries to address histories of oppression and mass human rights violations, including those committed during the Arab Spring itself. How best to address these histories, offer justice to the victims and heal as societies are questions with which each state must grapple. Enter the field of transitional justice, the name given to the study and practice of trying to establish principled justice after atrocity by employing a range of approaches, including both judicial and non-judicial measures to help address a legacy of mass human rights abuses. Arguably, the Arab Spring is also ushering in new ways of thinking about the goals and instruments of transitional justice. In a relatively short period of time, the field of transitional justice has experienced a number of waves as different regions have undergone transitional justice processes in different ways and each occurrence has made academics and policy makers think about the goals of transitional justice in a slightly different way, consider different options, and reflect on the challenges and opportunities for transitional justice processes. The Arab Spring transitions are likewise presenting new challenges, new considerations and opportunities to evaluate the foundational goals that ground transitional justice, and should thrust the study and practice of transitional justice forward. 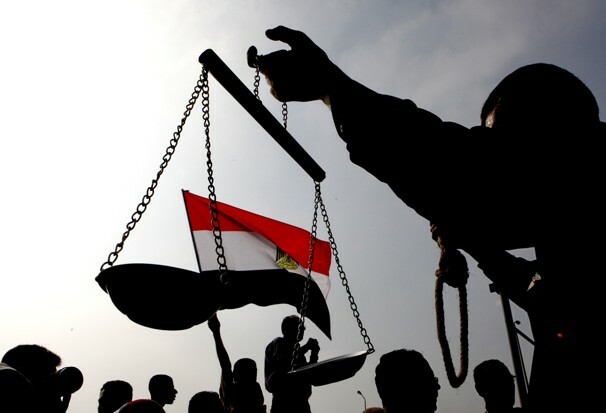 This post, the first of two, lays the background for questions regarding how Arab Spring transitions might influence the general field of study of transitional justice. It demonstrates how earlier regional transitions (in Latin America, Eastern Europe and Africa) have invited new features and challenges and therefore new ways of thinking about the goals and means of transitional justice. Transitional justice debates usually concern how best to pursue accountability for those individuals most responsible, whether prosecutions are appropriate or useful for bringing about the cessation of violence and preventing further instances, how to go about discovering and promulgating the truth about what happened, and how to compensate for harms endured, among other topics. Optional approaches include different levels of criminal justice, truth commissions, reparations, memorials, lustration, and amnesties in order to allow everyone to ‘move on’. Decades before academics or policy makers began speaking in the language of transitional justice, principled justice after atrocity began in the form of criminal justice. After WWII, the Nuremberg and Tokyo tribunals were established to prosecute the leaders considered most responsible for the systemic atrocities committed during the war. There have been other transitions that have relied heavily on international criminal justice as the main process for transitional justice: including those of the former Yugoslavia and Rwanda which had international tribunals created for them, as well as Cambodia, East Timor, Liberia and Sierra Leone. Drawing from domestic practice, criminal prosecutions have long been the main mechanism of justice. Elsewhere, although the possibility of prosecutions or even the existence of criminal justice processes were part of transitions, criminal justice was pitted against, discounted for or overshadowed by other processes such as truth telling mechanisms or memorials. When Latin America tried to come to terms with its past gross human rights violations it employed national prosecutions but it also advanced truth commissions. Although it is argued that truth commissions alone can impact negatively on human rights and democracy by denying accountability (especially when they are paired with amnesties), the main contribution to the field of transitional justice that sprung from the Latin American pursuits of justice was experiments in various forms of truth commissions and the debates that surround their use. When repressive eastern European communist regimes fell, transitional justice primarily took the form of lustration, a policy of institutional reform. Lustration, measures ranging from identifying and publicly exposing collaborators or officials of the past regime to barring such individuals from employment in positions of public influence, is traditionally seen as a system of purification, employed to restore and ensure, as far as possible, public order and safety, and to re-establish trust towards public institutions and address the secrecy that surrounded the past regime. Lustration policies were carried out in Poland, Czech Republic, East Germany and Hungary. Naturally, like criminal prosecutions and truth commissions, lustration schemes were not limited to the eastern European context, but the concerted focus in this region was significant to propelling forward new discussions about institutional reform in transitional contexts. In Africa, again criminal justice was at the forefront of international contributions to transitional justice in the region, with the UN Security Council creating an international tribunal or hybrid court for Rwanda and Sierra Leone respectively. The International Criminal Court (ICC) issued arrest warrants in connection to numerous conflicts, such as the war in northern Uganda. However, Africa’s regional contribution to the furtherance of the field of transitional justice includes debates regarding the inconsistency of criminal justice with some cultures. South Africa, when it engaged in its own transition, argued that individual prosecutions would not net the desired results. Those leading the transitional process, Archbishop Desmond Tutu and Nelson Mandela, argued for a unique African conception of justice based on Ubuntu (a philosophy based in unity and forgiveness). Similar arguments arose in Uganda, when civil society members heralded traditional processes over international or national prosecutions. Whereas Rwanda adapted traditional practices to try lower level perpetrators, Uganda argued that traditional practices of reconciliation would be more effective and consistent with local culture. African traditions brought to the field of transitional justice debates about the imperialism of international justice in a way that was not evident in other regions of transition. All of this raises the question: what will transitional justice discussions and processes in Arab Spring countries bring to the table that will set them apart and nudge the field of transitional justice forward on a different path, demanding new ways of thinking about the field and its options? This entry was posted in Arab Spring, Lustration, Transitional Justice, Truth and Reconciliation Commissions, Truth Commission. Bookmark the permalink. You overlook the evil practices of president & embassadors in ‘The West, russia, USa & Asia’. The Arab spring was carefully orchestraed by them. ‘The West’doesn’t want the people on Earth to understand that ICC builds all these civil wars to keep EU-leaders, RU-leaders & USA-leaders above the law’. When ICC would have tolk the truth about the fact that a Dutch woman started an ICC-lawcase against NL on 1 may 2007 …the Arab Spring would never have taken place. Because then ICC would have showed the people of Earth ‘how to end conflcits with lawcases’, based on files of an individual…. ICC refuses to work with the Statut of rome, in her files, investigations, speeches…etc..
Because of this ‘attitude-problem’, the people in warzone are non-educated in conflictending for themselves based on files of individuals. On top of this we get ‘Well known Politicians who radiate there classic talks’, which are non-effective, because in the ears of the lawless perons ‘they are only talks’. Lawless people can’t do anything at all for themselves ‘with the UN, EU or ICC-talks’. The classical story of The West – EU, UN, ICC – has to make place for transparent procedures within ICC for individuals, groups & nations. Than lawless persons will be inspired to bring that info to their own community…for conflictending without violence…and for …justice after violence. Transitional justice is practice of trying to establish principled justice after atrocity by employing a range of approaches, including both judicial and non-judicial measures, to help address a legacy of mass human rights abuses. How does this apply to Arab Spring? Kirsten Fisher writes a riveting two-part paper.